Amazon introduced a new line-up of Echo devices, Echo companion devices, and Amazon smart home devices, making it even easier to bring the features and convenience of Alexa to any room and now, to the car. 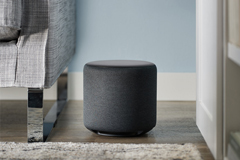 The next-generation Echo Dot (amazon.com/echodot) features a new fabric design and more powerful sound—and it is still the best way to add Alexa to any room. With an all-new curved shape and fabric finish, Echo Dot is available in Charcoal, Heather Gray, and Sandstone, letting customers easily mix and match. 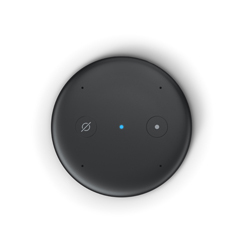 The new Echo Dot plays music louder with richer sound, all in a compact design. Put an Echo Dot in every room to ask for information or the weather, play your favorite music in a multi-room music grouping, set timers and alarms, and control compatible smart home devices. With its built-in Zigbee smart home hub, the all-new Echo Plus (amazon.com/echoplus) makes setting up compatible smart home devices easy. Just say, “Alexa, discover my devices,” and Echo Plus will automatically discover and setup compatible lights, locks, sensors, plugs, switches, and more without the need for additional hubs or apps. Echo Plus now includes an embedded temperature sensor, so you can set temperature-based routines using other smart home devices. For example, when the living room reaches 80 degrees, Alexa can send a notification to your phone and turn on a connected fan. Echo Plus has a larger 3” neodymium woofer and increased back volume so that the bass feels stronger and the mids and highs are clearer. It also features an all-new fabric design and is available in Charcoal, Heather Gray, and Sandstone. Echo Auto (amazon.com/echoauto) is an easy and affordable way to add the power of Alexa to your car or truck. With an eight-microphone array designed for in-car acoustics and speech recognition technology, Echo Auto lets Alexa hear you over music, A/C, and road noise. 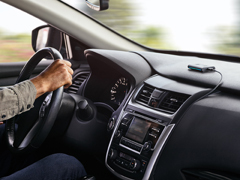 The device is powered by your car's 12V power outlet or USB port, and connects to your stereo system through a 3.5 mm audio jack or Bluetooth connection. 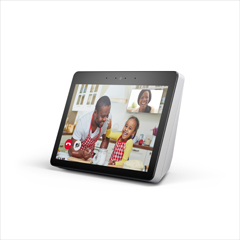 It connects to Alexa through the Alexa app on your smartphone and uses your existing phone plan to access a range of features such as music, navigation, calling, and more. With Echo Auto in your car or truck, just ask Alexa to hear your morning news, listen to an Audible book on your commute, get the latest traffic updates, and more. You can also set a routine that turns on your lights when you pull into the driveway, set reminders to pick up your dry cleaning, add errands to your to-do list and check them off when they’re complete, build your shopping list or manage your calendar—all while your eyes stay on the road. Both Echo Link and Echo Link Amp can be controlled through the Alexa app or another Echo device in your home. Simply say, “Alexa, turn up the music in the living room,” to listen to tunes through your existing stereo system. Cook with your voice: With AmazonBasics Microwave, ask Alexa to reheat, defrost, or microwave for your desired cook time and power level. Plus, use a variety of quick-cook voice presets such as, “Alexa, microwave two potatoes” or “Alexa, reheat a cup of coffee” and the AmazonBasics Microwave takes care of the rest. Since Alexa is always getting smarter, new quick-cook voice presets will be added regularly. Never run out of popcorn: Now you don’t have to keep track of how much popcorn is in your pantry or worry about running out for family movie night. AmazonBasics Microwave is integrated with Amazon Dash Replenishment and with the Auto Popcorn Replenishment feature, can automatically reorder popcorn before you run out. With the Amazon Smart Plug (amazon.com/amazonsmartplug), use your voice to control your lights, fans, coffee maker, and more. The Amazon Smart Plug is the first Wi-Fi smart plug to use Wi-Fi simple setup, making it easy to start – and expand – your smart home with connected devices. All you need is a compatible Alexa-enabled device like Echo, Fire TV, Fire tablet, Sonos One, or even just the Alexa app on your phone to get started. From there, easily set a routine that turns your lights on at 6:00am and your lights off at 10:00pm; and with multiple Amazon Smart Plugs, you can control multiple outlets. The new devices announced today join the all-new Echo Show, Echo, and Echo Spot to create the Echo family of devices. Amazon also introduced new Alexa features that will roll out to Echo devices in the coming weeks. Own #Bitcoin? Here's how much you owe in Taxes.